Disc golf can flow around your property in many ways. A course can be routed to take advantage of unique areas and features of your property. Utilizing areas that may not be well suited for other activities makes disc golf a great way to use a larger portion of your park. Disc golf expands your park’s appeal. Route players to and around interesting geographical features. Variety of terrain can create an exciting course design and boost positive feedback which should increase course visits. List your course on disc golf course directories to draw players from near & far. Host a grand opening event to publicize your new course. Run a charity event on your new course to gain positive media exposure. Innova Disc Golf has helped put Sgt. Jasper Park (located in Hardeeville, SC) on the map. For a minimal investment, the professionals of Innova have taken an under-utilized piece of property at our county owned park and turned it into a beautiful, adventurous playground. It has brought us visitors from up and down the East coast on a daily basis to experience the beauty and splendor of our park. A disc golf course can be designed into under-utilized areas of your facility. Disc golf is a sport that everyone can play, regardless of age, ability, or gender. An 18 hole disc golf course can accommodate 90 or more people at one time. Disc golf offers four season recreation across much of the United States. Disc golf attracts people from other areas of the state and country to your park. In many cases, local disc golfers are willing to help with maintenance and upkeep of disc golf courses. Disc golf is easy to learn and provides a lifetime of fun and exercise. Disc golf is inexpensive to play. You can start playing with a single disc for less than $10. 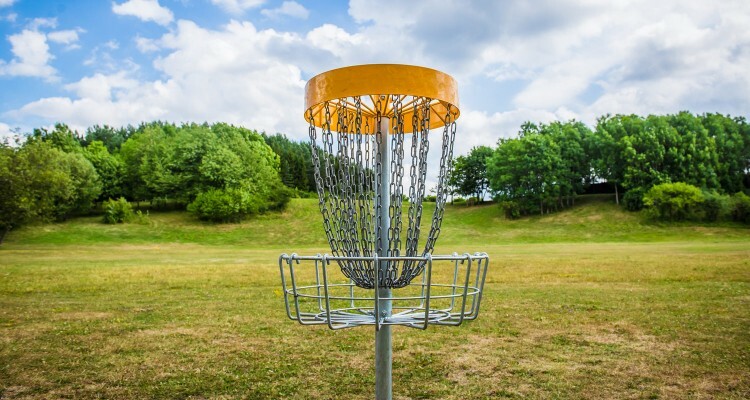 Disc golf can be a source of revenue for a park department or a pay-toplay facility.